A Solution for Animal Lovers with an Anxiety Disorder? What are the advantages of using animal-assisted therapy to treat anxiety disorders? Read about them here. Can an Active Imagination Lead To Anxiety in Children? A new book by child psychologist Dr. Robin Alter talks about how negative imagination can lead to anxiety attacks in kids. What are the symptoms and how can you sense them? 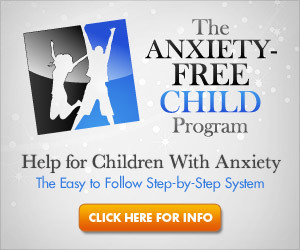 This post talks about some of the symptoms of anxiety disorders that you should look for in kids.